The decorating possibilities are endless with this wide-mouthed vase. 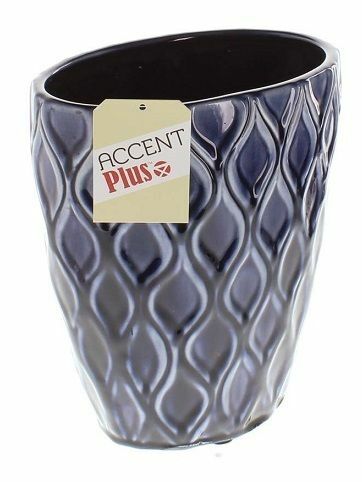 The wavy design of the vase is given the designer treatment with rich, deep blue glaze that will look great in your room. Dimensions: 7.5" x 5" x 9.25"